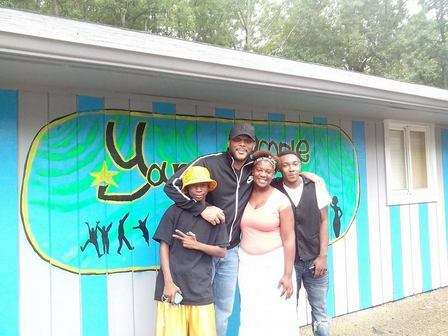 Mega producer (and to Spike Lee’s chagrin, creator of the wise cracking, law breaking grandmom Madea) Tyler Perry shows he loves the children by donating $45,000 to an Atlanta teen shelter at risk of closing. The “If Loving You is Wrong” producer spent his 45th b-day making teens and their families dreams come true by keeping the Young People Matter shelter’s doors open to the 6,000 they service, until the end of the year. The shelter’s $580,000 grant that lasted three years will expire at the end of this month. Perry stopped by the shelter last week to talk with the kids at the facility that boasts of being the only “24-hour bed space to both males and females under 18” in Atlanta. And the shelter only has five beds!?! According to Access Atlanta, Perry’s PR reps confirmed the $45,000 donation was meant to coincide with his 45th year on Earth. You gotta love the symmetry of his philanthropy. The president of the board on Young People Matter, Andrew Bostic, hopes others will follow in the famous filmmaker’s footsteps in supporting their shelter’s mission. Considering how open Perry is in discussing his past life of homelessness (he once quipped to Essence, “Can you imagine a 6-foot-five man sleeping in a Geo Metro?) it’s inspiring he reached back to help others in the same dilemma.